What is a license for? Does it create more problems than it solves? What’s the point of getting it and if a casino has one, does that mean it can be trusted completely? And what does it do anyway? Let’s take a look at these questions and, in particular, the pros and cons of an Estonian license and what it does. If a casino has a license it can mean any number of things, none of them bad. A license essentially means that the business has been tried and tested, and integrity checks were found to mean that everything about its practices is legitimate. Going out there blind can have its advantages, especially if you’re aiming to have fun rather than save money, but choosing a casino that runs its practices by the government on a regular basis is good for your wallet because in this sense you know what you’re getting. Estonia is a country known for its clean, ethical manner of conducting business, and large areas of opportunities for foreign investors. The government is kind of gambling-friendly, having recently introduced the law that permitted gambling so that the economy can benefit. The casinos that function on the country’s territory pay taxes, which means sizeable profits for the country’s administration. It makes logical sense that if a casino does not have a license and doesn’t show up on the government’s radar, it’s only a matter of time before it gets shut down. 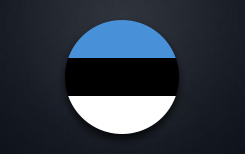 Estonia is just building its gambling market, and today is a very exciting time for players and casino owners alike, just like with everything new and promising. You will be able to find a lot of extras in casinos with an Estonian gambling license, partly because this is still a market in which the casino owners are trying to attract an audience into, and partly because the business here is new, idealistic, and enthusiastic about new beginnings, unlike the cynical veterans of some of the other geographical communities. Some of the advantages of getting a license here (for owners as well for clients) mean getting accredited as an international company, being completely supported by the government (who are very enthusiastic about gambling as a source of income), a sense of stability that comes out of that, getting a good rep among the competition, attracting European investors, and much more). It’s up to you to decide, after we describe the procedure to you, whether a license is a plus or not, but we think that the decision kind of begs to be made when you familiarize yourself with the data. This country hosts over 150 casinos, and a lion’s share of citizens of age have been in one at least once, so you can imagine the opportunities. Getting a license, as a rule, consists of two parts: the first is getting a general gambling license, which allows hosting gaming, and the second is a procedure that registers your intention to host games in a certain location. Obviously, the first step to confirming your credibility if you’re an owner is to supply all the evidence that you have been doing everything according to the rules in terms of finances. That means submitting a set of documents to the authorities that goes something like this: you comply to only host gambling, testify that you and your employees have no record and no instances of practicing online gambling without a license, comply with the rules of the current legislation, pass customs and tax legibility checks, have a registration with the Estonian authorities, prove you have no less than 2 000 000 Estonian kroons in your account and are financially stable, and you vow not to pass over your practice to another person. Don’t forget to have with you 50 000 kroons to have your application submitted, and, should you get a green light, the cost of practice amount to another 700 000 kroons. That’s $3700 and $52000 respectively. By the way, don’t forget that the age limit of the players is a big deal. Depending on the type of games people play, they are required to be either 18 or 21, and that is monitored closely. In addition, as we have already mentioned, there are two types of licenses, one of which concerns running gaming in specific locations, which means you will have to have as many gambling licenses as you have venues. In order to keep going you have to pay taxes of around 5% based on the scale of business you run. In addition, there are strict guidelines regarding displaying clearly the name of your company, game rules, the guidelines for getting your winnings, and a clear procedure for putting in feedback.